The Chamber of Commerce of Warren County, Georgia would like to welcome you to our community. Our mission is conduct activities and solve problems to create a more competitive business climate for companies located in Warren County, Georgia. We believe that you will find the people and surroundings of historic Warren County to be both welcoming and enjoyable...small town benefits with the "big city" less than an hour away. We are a pro-business community that is always looking for ways to work with companies, both new and established, to improve the quality of life of our citizens. Contact the Development Authority for information on our industrial sites. The Chamber of Commerce provides a variety of services to newcomers and to our members. Please, see our complete Benefits Package, which is included in every membership option. Call or visit our office at the Depot Welcome Center. We will be happy to show you around and provide you with maps, brochures, phone books, or whatever you need. more... We have a vision to build a vibrant and prosperous community through business leadership and diversity. The Chamber would like to help you get started with a business in Warren County. Click the "Open" sign for a detailed guide or call our office to set up an appointment to work through the guide together. We want to help you work and grow in this community! The Chamber Business of the Year, for 2017, goes to a local business which has served this community for over a decade. As we take a closer look at this business, though, we notice that there is much more going on behind that large display window. In reality, there are at least three businesses in one housed on Main Street, Warrenton. And behind it all is one individual with a deep-seated conviction to serve the community by volunteering large amounts of time, amazing leadership, and great talents as needed. A picture says a thousand words, and the Chamber, along with Hometown Warrenton, has a database of easily over a thousand photos taken the past eleven or so years by Michael Huebener with the Main Design. Our website is filled with images from events, programs, and activities in the community because Michael took it upon himself to chronicle them. 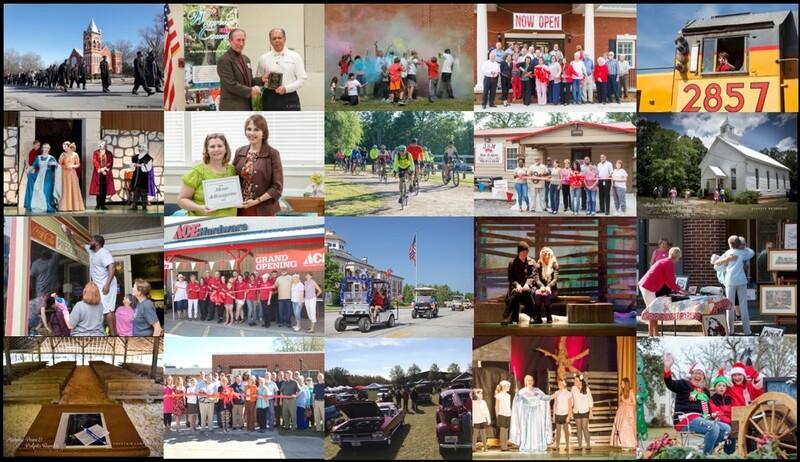 The Chamber and Hometown Warrenton are able to use these wonderfully captured images for brochures, posters, social media and on our website. Michael Huebener served on both the Chamber and Hometown Warrenton Boards of Directors from 2006-2017. He led the move to split the Boards in 2016 so that each could work on their own respective goals. "Michael we commend you on your selfless leadership, your civic pride, and your amazing work, both in the computer field and in the artistic world. Thank you for your dedication to this community!"